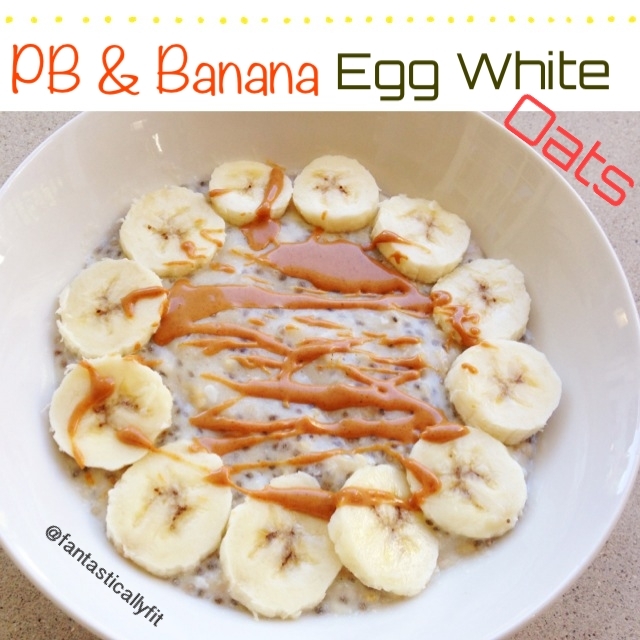 Super flavorful and full of protein breakfast! The perfect way to start the day! Places oats, water , vanilla extract, and chia seeds in the pot. Cook on medium heats stirring occasionally until almost no more liquid is left. Then add in the eGg whites and stir continuously until cooked through. Top with banana and PB!